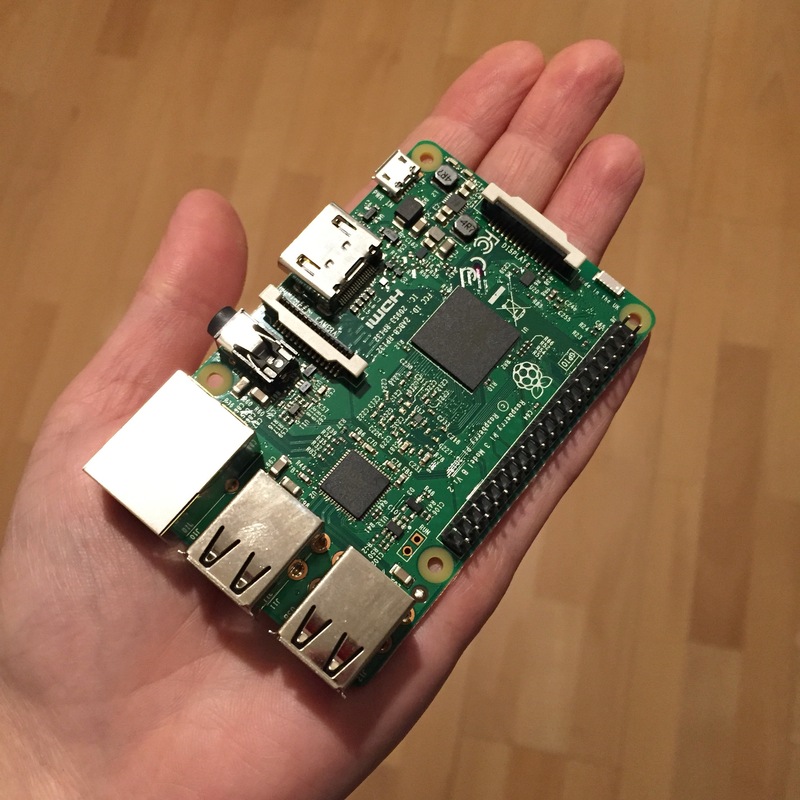 This is part #1 of my adventures in Building the Internet of Things with the Raspberry Pi with @sn0wcat. I ordered the Starter Kit Bundle with a case in red and white, SD card and power adapter. Putting it all together is very straightforward. 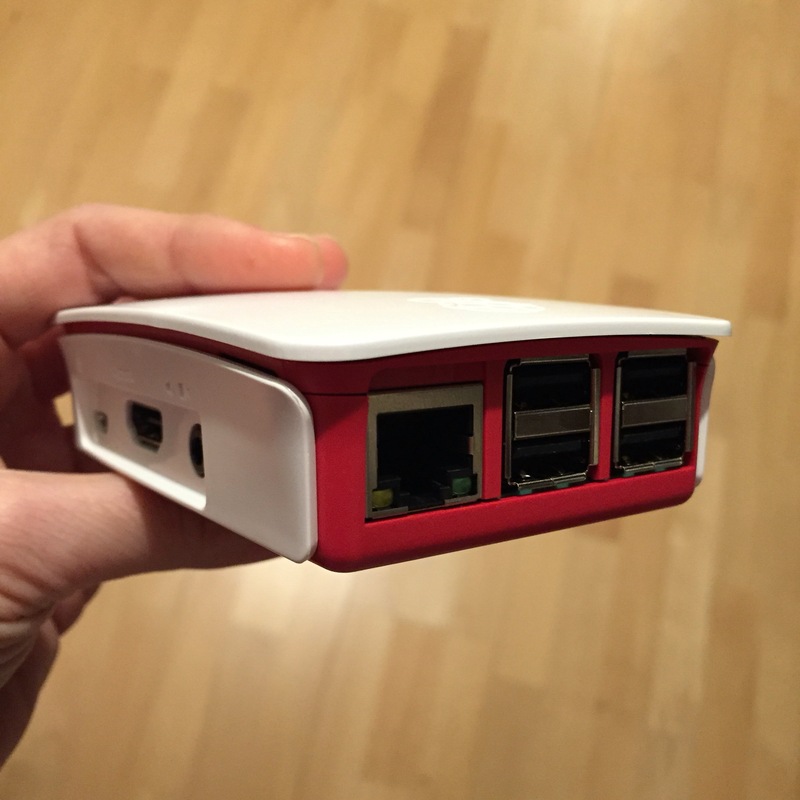 Using the Pi for the first time is easy: connect to a monitor, keyboard, mouse and power adapter. 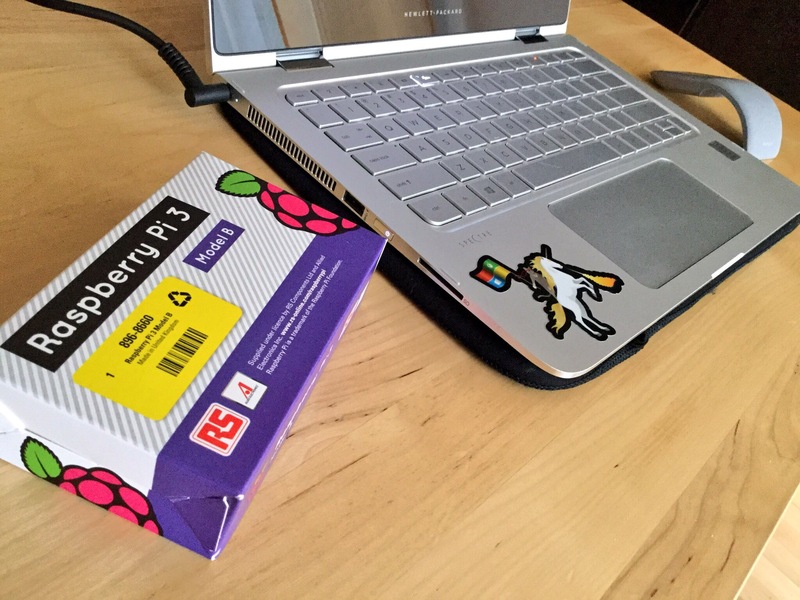 You no longer need a WiFi dongle because the Pi 3 has onboard WiFi. You can connect a camera and speakers. 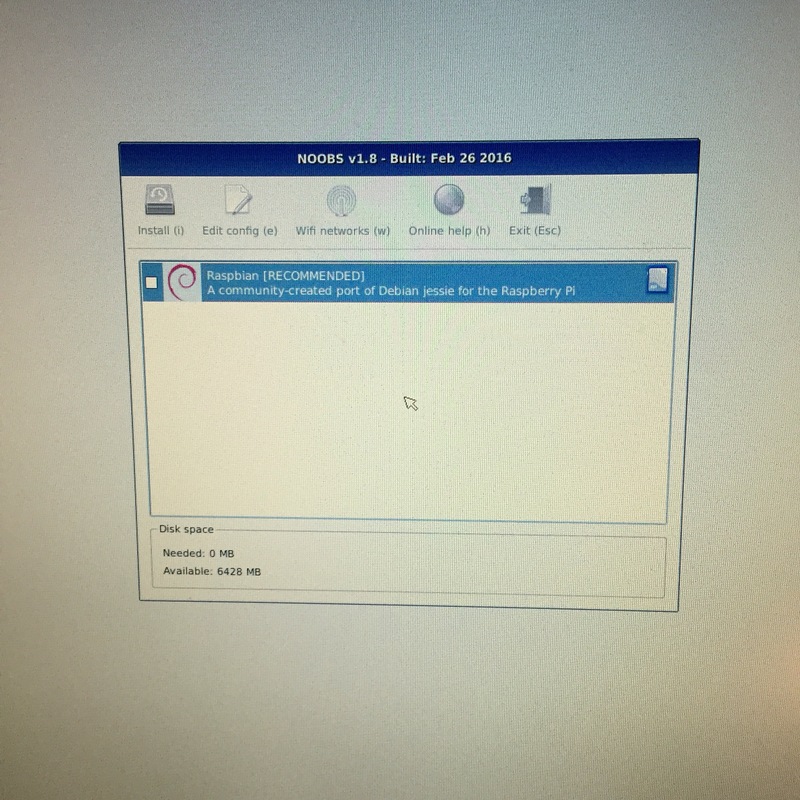 Noobs V1.8, or New Out Of the Box Software is the operating system install manager for the Raspberry Pi, and, if you don’t connect your Pi to the internet, it displays the option to install the recommended Raspbian. 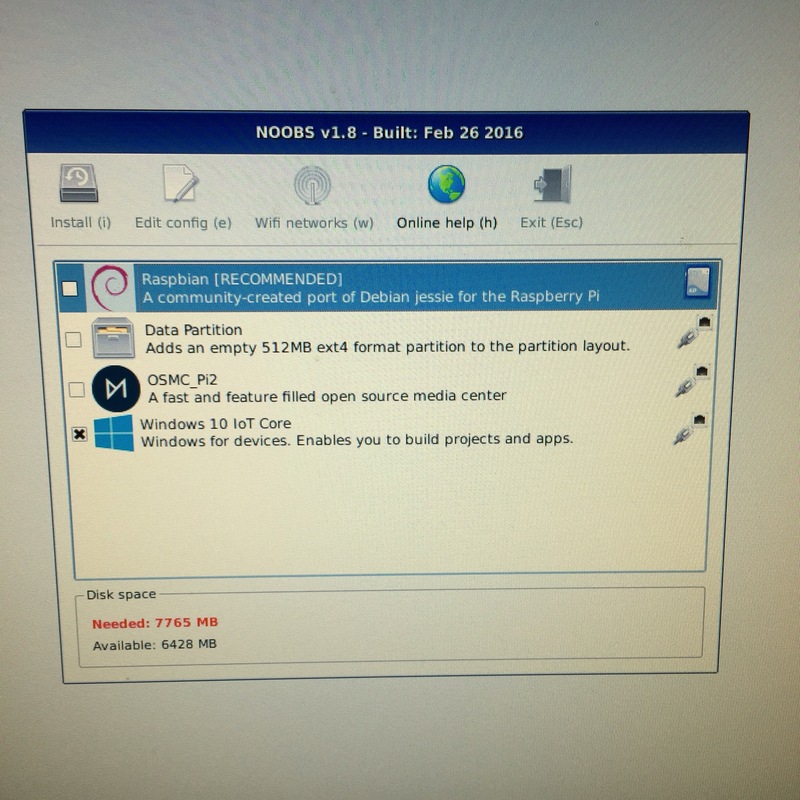 You can also use third-party OS like Occidentalis from Adafruit or Windows IoT Core, which you can download here. 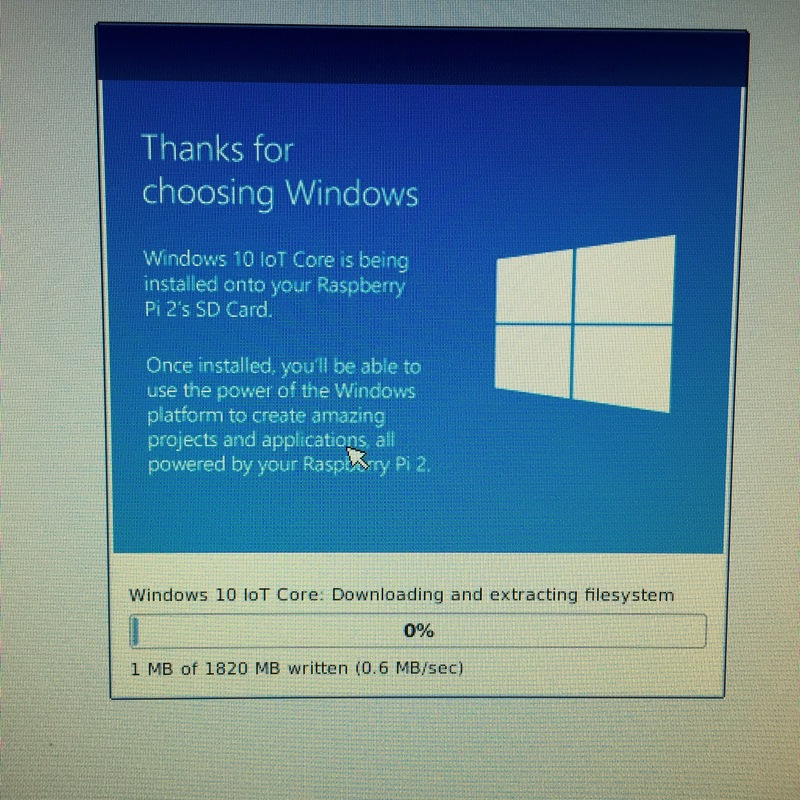 Windows IoT Core supports now Raspberry Pi 3. Connect the Pi to the network. Make sure you have a microSD card with at least 16 Gb space. You can install Noobs on a microSD card by following the instructions on this page. 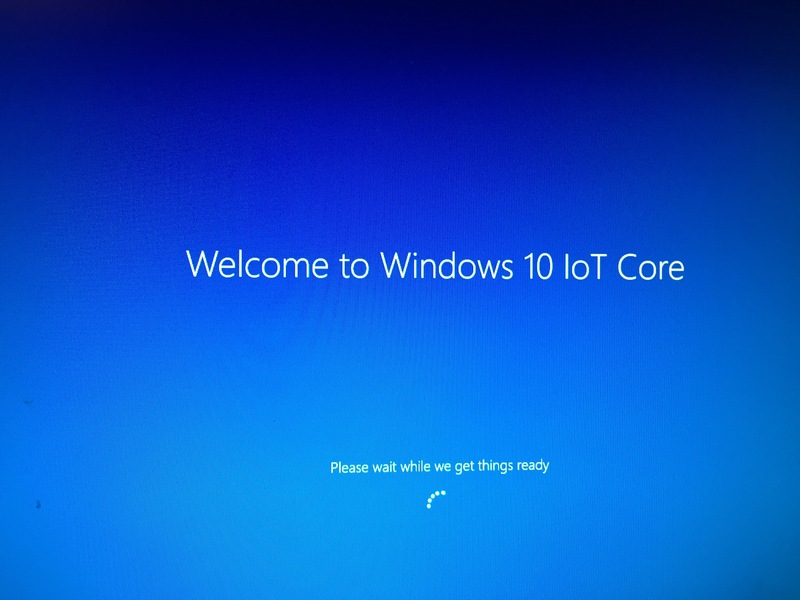 The best way to start is with samples and the Windows 10 IoT Core Samples is a great collection. You can also try the samples in the IoT Dashboard: Blinky and Internet Radio. The source code for these samples are available online. 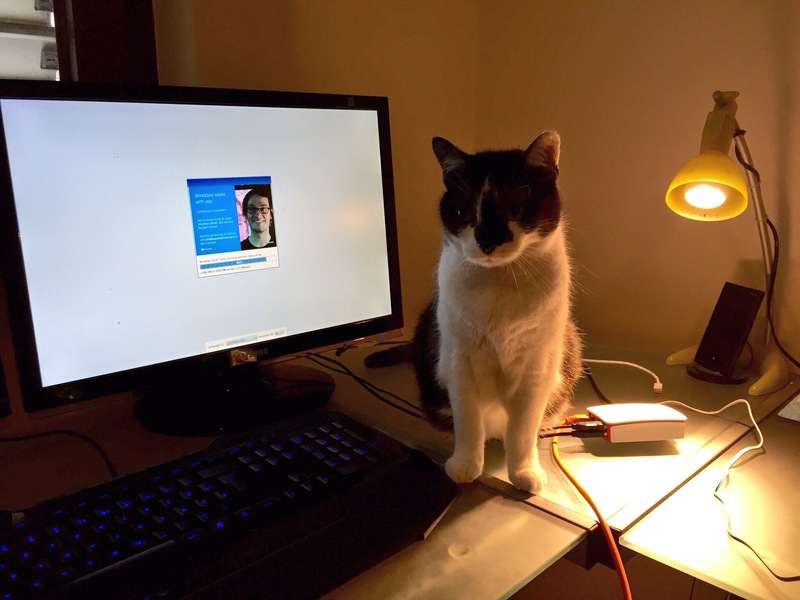 Thank you to my little helper for assisting me in setting up up my new Raspberry Pi 3.